A conference dedicated to educating and inspiring creatives and creative entrepreneurs in the art of business. This event is a business conference with a difference. It is an event that focuses on creating, driving and maintaining either a creative business and/or providing insight to those who wish to look for more creative and artful approaches to business. 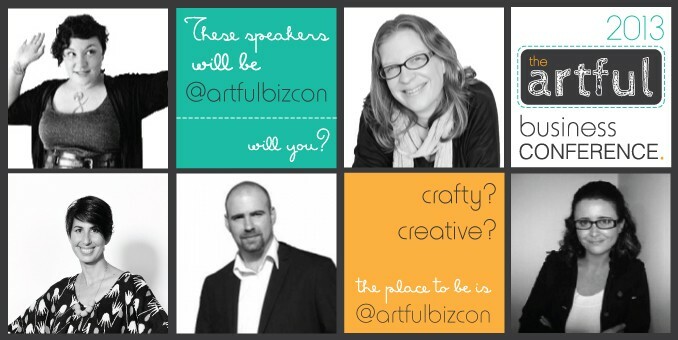 The Artful Business Conference is more than a 2-day conference, it is a network of creative businesses, creative minds, and entrepreneurs. It is knowledge, ideas, inspiration and motivation. The Artful Business Conference takes away the boring from business and gets right to the essentials with the addition of creative flair to inspire attendees to take on the business world in a whole new way! - Break out master classes with the speakers – one workshop per breakout session broadcast live to virtual viewers via Livestream, other workshops will be loaded to the website within a month of the conference for member access viewing only. - An official social networking function with the speakers and other attendees the evening of day one. - A one hour keynote speaker panel session – Q&A with live and virtual attendees – broadcast live via Livestream. Also available for download post-conference. - A mystery guest presentation pre-recorded played via the Livestream link during lunch intermission on both days. Available for download post-conference via the website. - Post-conference Skype conference call to de-brief and talk about all of the things the conference inspired within the attendee’s business. - Throughout the year all ticket holders have access to the Artful Business Conference private Facebook group for networking, sharing ideas, support, talking all things “creative business”. - Throughout the year, all ticket holders have access to the entire backlog of previous presentations, worksheets, talks, and workshops from the previous Artful Business Conference. Attend virtually via livestream or attend the conference in Brisbane (Sept 2013). Bookings essential. 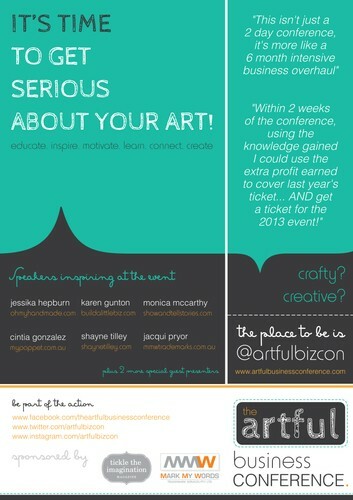 Tickets available now from www.artfulbusinessconference.com.